In which I clarify what it means (to me) to be a gamer, and the value of freemium games. | Action Points! A while ago, in conversation with fellow podcaster/blogger Evan, I found myself needing to clarify something I had said on a whim. ‘I am not a gamer’ I proclaimed, and in true form, Evan, with his brilliant teacherly skill, pressed me to affirm that this statement was indeed not true. ‘Gamer’ is such a broad term. Though commonly associated with video games, I realised it can stand for so much more. I do consistently enjoy tabletop gaming of any variety, whether it be board games, card games, or even trying my hand at D&D and other RPGs recently. So I am a gamer in the sense that I am a tabletop gamer – then perhaps ‘I am not a video gamer’ would be a more accurate statement to make? Nope. Upon further searching this is not true either. Though I do not often play video games, I do talk about them – enough to hold an informed conversation – I read about them, keep up with the news via Kotaku and other online sources, and regularly watch Good Game on the ABC. This is enough I think, to classify me as a video gamer in a non-gamer’s eyes, yet at the same time to be seen as a small-fry wannabe from even a hobbyist’s perspective. Years ago, RTS games were my thing; Total Annihilation and Command and Conquer stole my teenage years. I could swarm your base with an aerial assault before you could get to the second tier of the tech tree. (When Planetary Annihilation by Uber Entertainment finally comes out, I will be sorely tempted to fork out for a decent gaming setup and get back into the fray.) I do not own a desktop, notebook or any current generation console (my latest was the Gamecube) to game on, so the majority of my video game experiences as of late have been mobile, casual style games. So at this point, in terms of gamer geekdom, as well as tabletop, I am also a ‘mobile video gamer’ at the very least. I have been heavily invested in the Google/Android ecosystem since its inception, and have observed the OS’s quality gaming opportunities develop and slowly grow over time. 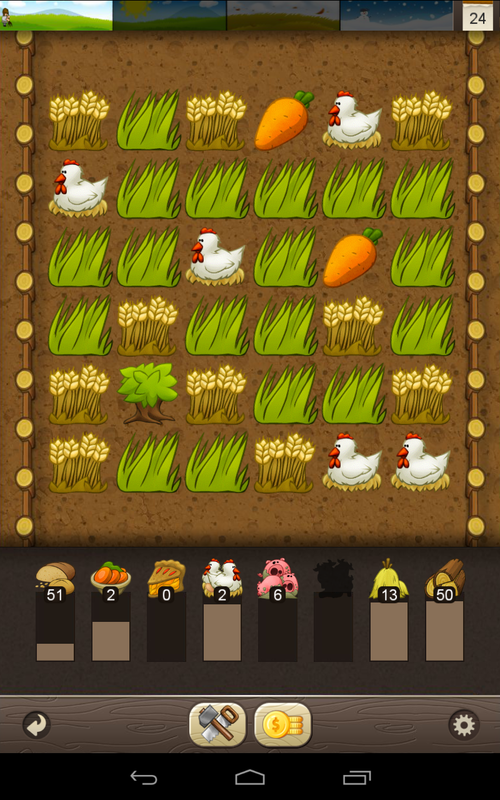 I am a picky and obsessive gamer, so an app/game has to be darn good to keep me invested and coming back over time. For instance, just over the past week I sank an inordinate amount of time into PuzzleCraft, by Ars Thanea Games. 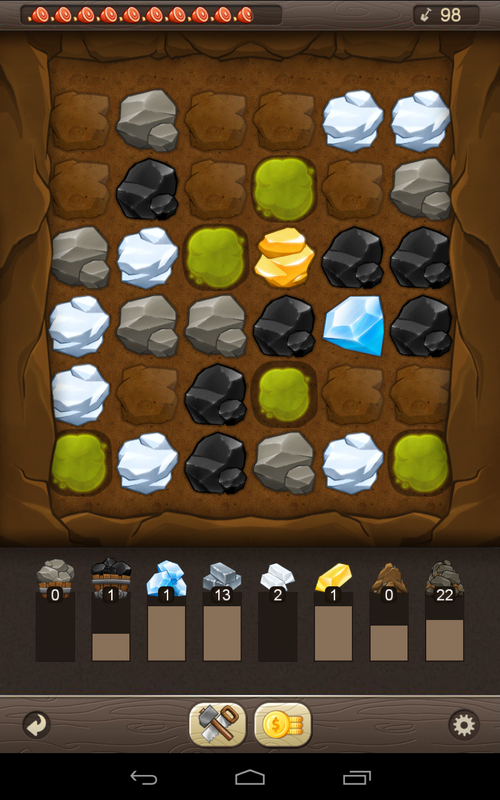 An interesting mash-up of the town building and gem-matching puzzle genres with a farming/mining theme, PuzzleCraft was widely regarded as one of the best mobile games of 2012, and was even the nominee for two Webby Award game categories. It was free, which is always a good start as mobile users (myself included) are known to be the most frugal of gamers, often struggling to justify spending a few dollars for an app or game. And it was goal-oriented too, satisfying the completionist in me to collect every star, or in this case to grow your small village into a town, then a city, and finally build the castle to ‘finish’ the game. But playing PuzzleCraft to completion so quickly was the first time, playing a casual game, that I felt that I went too fast. I could have savoured the game more and drawn my playing experience out. Instead, I now have no desire to return to the game until the inevitable update (which is already out on iOS, but that’s a gripe for another day). It left me questioning if there should have been a way designed into PuzzleCraft to make me stop playing, to put down my device and come back to it frequently, but for shorter periods of time. The obvious solution that game developers turn to is the freemium model – free to download yet requires a purchase for in game perks – but this bothers me. We have all experienced this. At some point after downloading a freemium game you hit ‘the wall’ – that artificial cool down period, either you run out of money, or turns, or time. Whatever the mechanism, in order to get more, check back in after few hours or so, or you can purchase more in-game currency/turns/time with real world dollars. This is especially true of all the town building and other simulation games, and also to some extent for adventure games where you can upgrade your character with better armour, tools or weapons. To developers, freemium works and is an effective way to make a ton of money off people with little staying power when it comes to purchasing decisions.\ But to me, ‘freemium’ is a dirty word. I don’t want a purchasing decision to get in the way of my playing experience. Once I hit that barrier, I lose interest and delete. Very few games last more than 15 minutes on my device once this happens. (I’m looking at you Sims FreePlay!) In cases like these I lament that a developer had not chosen instead to go with the Demo/Paid version. If a game is worth playing, in light of my admission to my stinginess in purchasing apps, I will gladly pay for the full, unhindered, experience. This is why I found PuzzleCraft perplexing. PuzzleCraft does include these freemium elements, ie. collect taxes every few hours and the ability to purchase in game currency, but at no point did I hit that barrier, nor did I ever feel tempted to make a purchase. If I ran out of money, I sold my most abundant resource and kept on playing. I couldn’t help but see this as a failure of A.T. Games to monetise their game effectively, as a freemium game surely has to rely on a certain percentage of users to spend to make a game profitable. So then, in order to create a satisfying casual gaming experience is it then a question of creating a balanced and engaging game on the developers’ end or a matter of patience and persistence on mine as gamer to not consume it all in a few sessions? Or both? On first thought, I thought it was the developers’ mistake here but perhaps this is why PuzzleCraft exceeds expectations and is so highly rated – it isn’t a freemium game at all, it’s just a really good game. Truly, I just need to slow down. 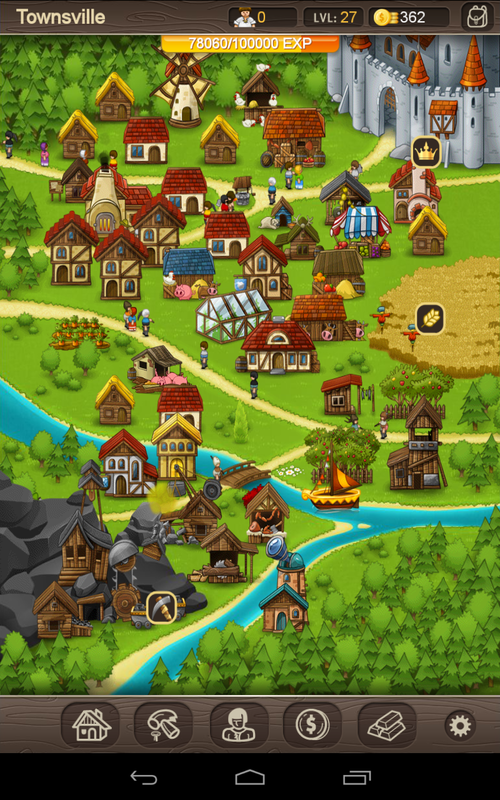 A.T. Games has created has crafted a highly addictive town building puzzler that is easy to lose hours to, and it was to their credit to have those freemium options available, but not to build their entire game around them. And it took a great game like this to compel me to write about it whilst also bringing me to admit that I am a gamer of sorts after all.